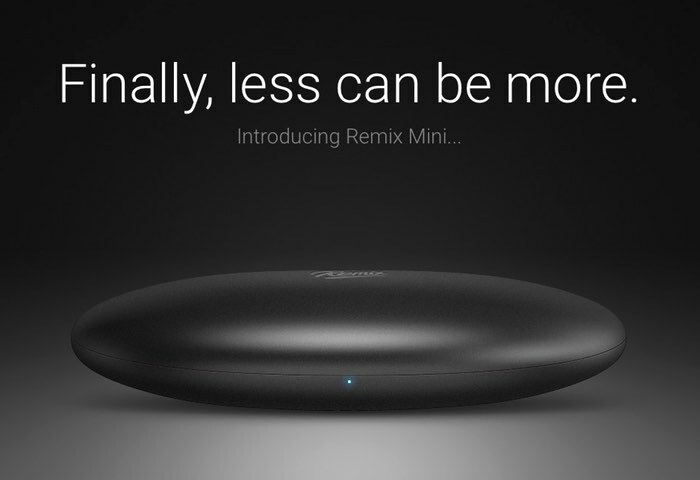 If you have been patiently waiting for the Jide Remix mini Android PC to be made available, after its successful Kickstarter campaign that allowed its developers to raise more than $1.6 million in the process. Will be pleased to know that the mini palm sized Android PC is now available and comes running its custom version of Android in the form of the popular Remix OS based on Android 5.1. To recap the Jide Remix mini Android PC is powered by a 1.2 GHz Allwinner 64-bit ARM Cortex-A53 quad-core processor supported by 2GB of RAM, 16GB of storage and comes with, wireless, Bluetooth 4.0 and Gigabit Ethernet connectivity. Other features include a microSD card slot, 802.11n WiFi, and HDMI output. Remix Mini is a tiny PC. It gives you a PC experience unlike anything on Android and an Android experience unlike anything on a PC. Plug any display in your Remix Mini. Turn it on. What you do next is up to you. Powered by Remix OS (based on Android 5.1), Remix Mini allows you to work and play with the entire Android app ecosystem while taking full advantage of intuitive PC features such as a taskbar, full multiple window multi-tasking, mouse and keyboard support, and so much more. Featuring a multitude of ports, Wi-Fi, and Bluetooth, make Remix Mini the centerpiece to your ever-connected world and embrace PC and Android computing together like never before. For more information on the new Jide Remix and to purchase jump over to the Amazon website for details via the link below.